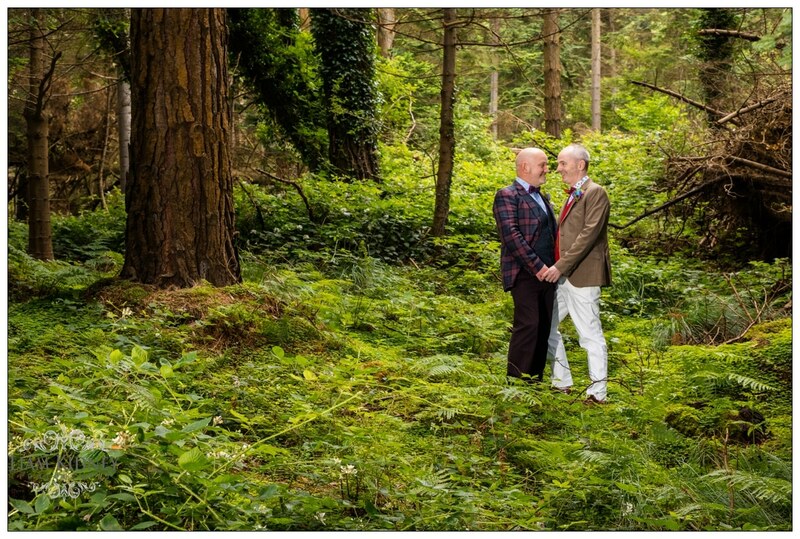 I photographed Jim and Paul’s gay wedding in Holy Trinity Heritage centre, Carlingford, County Louth. 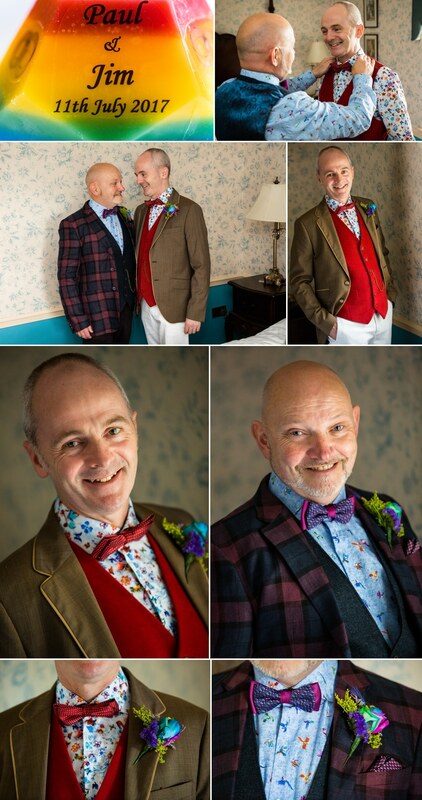 Jim has been great friends with my wife Laura, for many years and when the marriage referendum was passed in May 2016 we met Jim and Paul for dinner to celebrate the historic day. 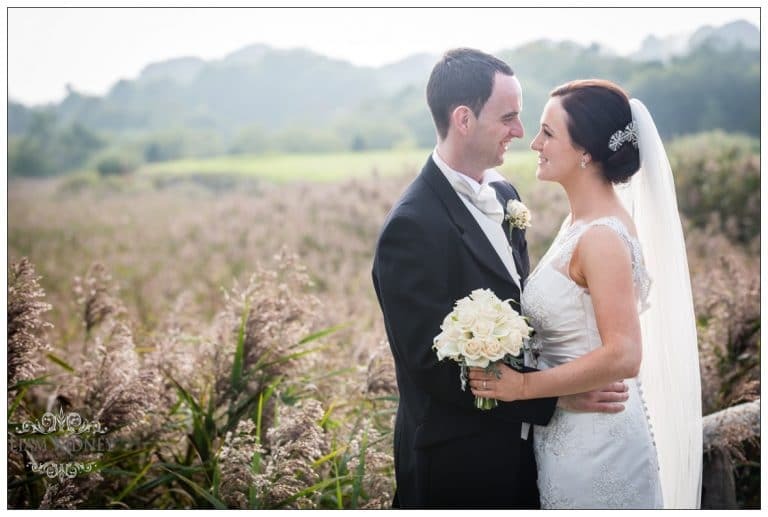 We were honoured when they asked our daughter Aine to be a flower girl for their wedding. 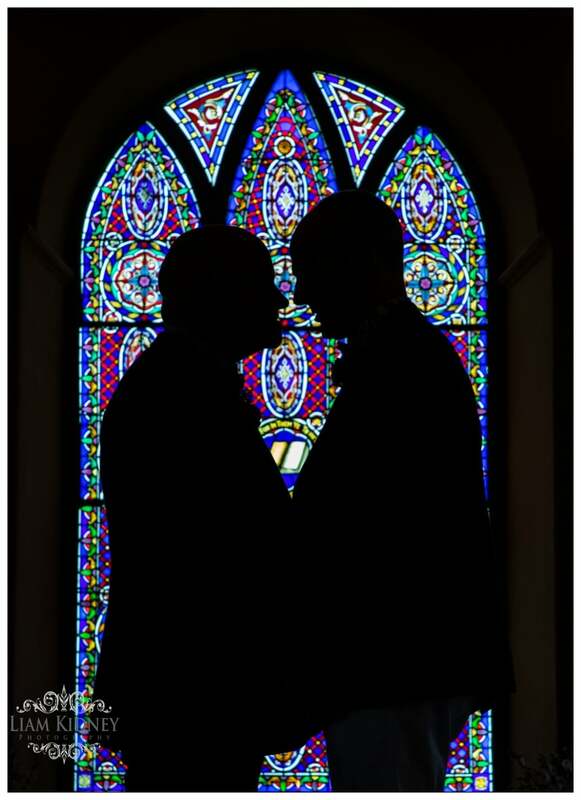 It was a truly incredible wedding that lives long in my memory. 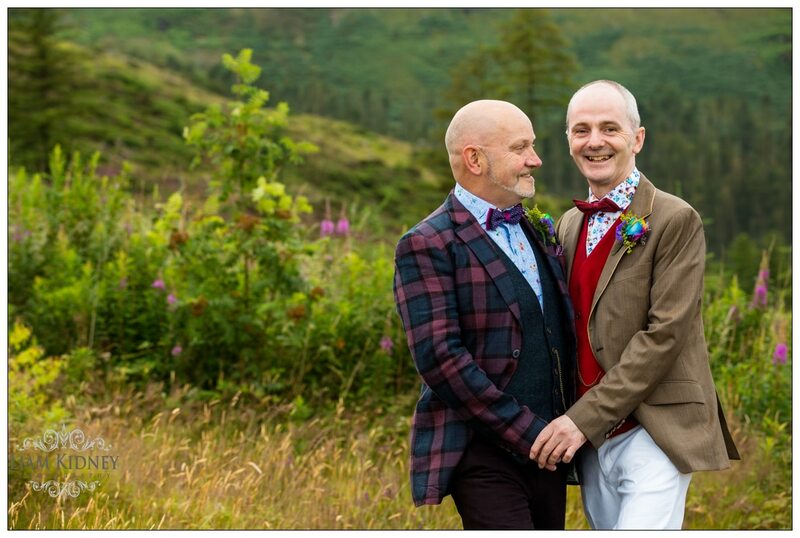 Jim and Paul put so much thought and effort in to the ceremony and the day. It was perfect. 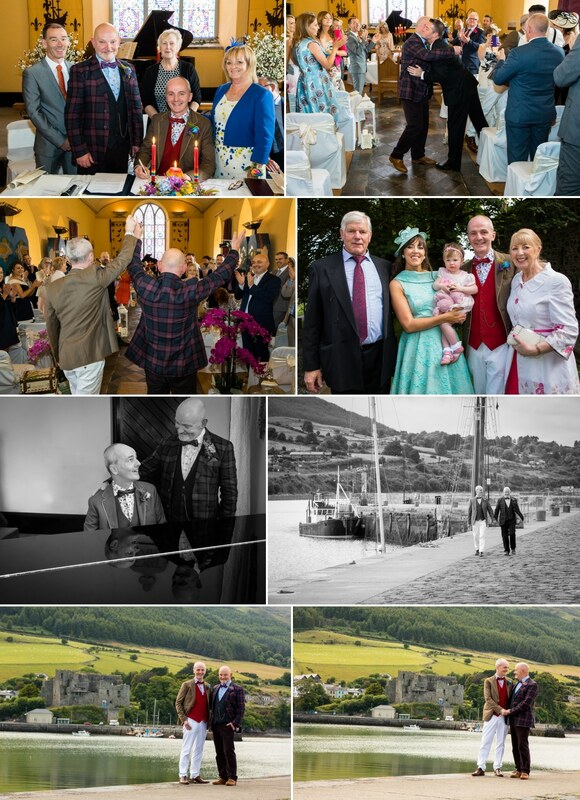 I had never seen such a amazing wedding venue as Tranquility House, on Calvary lane,Omeath in County Louth. They had every table uniquely decorated to a particular theme. It truly was a fantastic day. 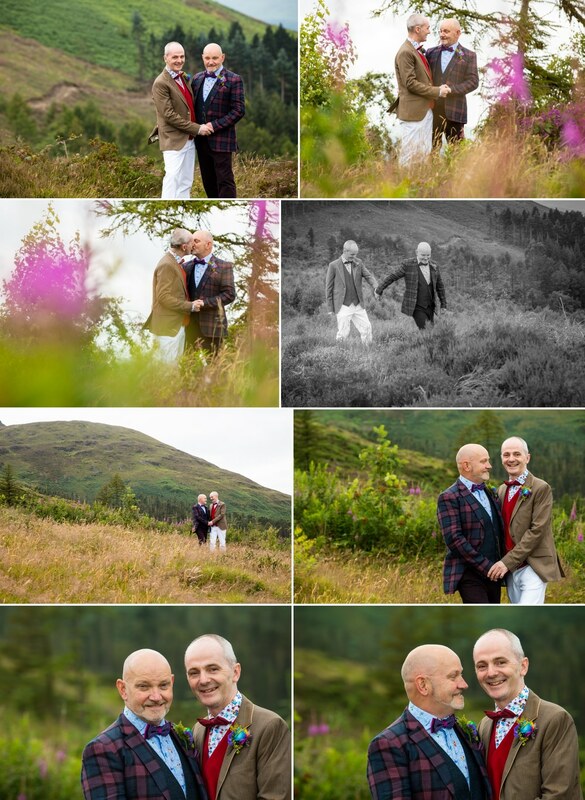 I caught up with the couple recently to discuss their wedding with them one year on. We met in Dublin through a work colleague. Paull invited me out for a coffee and it took off from there ! Yes we sure did the clue was in the opening song that was played at the ceremony “Somewhere over the rainbow” The rainbow themes we felt was inclusive and colourful which was exactly what we wanted. We wanted colour splashed everywhere that day . Where did you get your suits ? 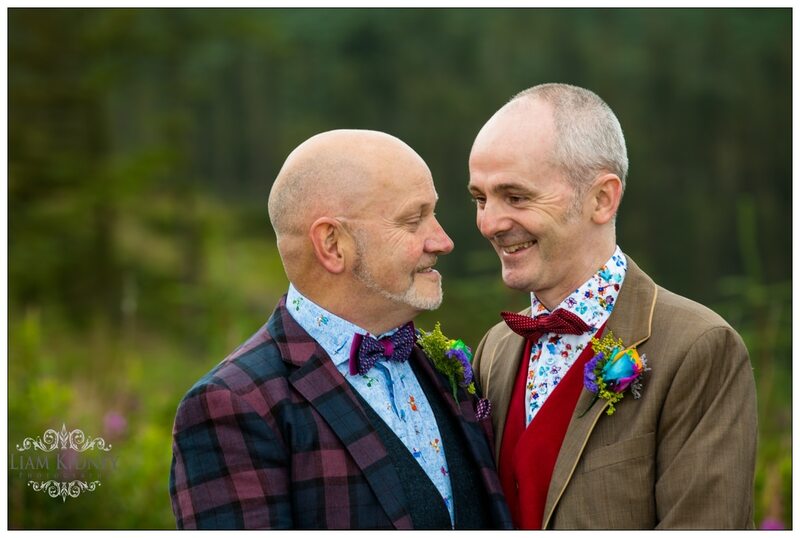 We both bought our suits from Tony McDonnell’s menswear ,earl street dundalk,County Louth.They were fantastic and we really felt so special and comfortable wearing them on our wedding day. Where did you get the bridemaid’s dressess? The first dress we got for Angela Ashton from Phase Eight in Debenhams department store ,The Quays Newry County Down.The second dress we bought for Angela winterburn in Elmays clanbrassill street Dundalk County Louth.Both dresses really suited their personalities. Where did the groomsmen get their suits? In wilfs mens clothing ,castle street Mullingar County westmeath. Both of us had put a great deal of effort into the ceremony . We decided we didn’t want speeches said at the reception so instead all we wanted to say was said during the ceremony. But what we remember the most by far it has to be the overwhelming feeling of love and support from our families and friends and also the beautiful music that was performed by the wonderful Naoimh Penston. What was special to you in the ceremony ? Everything we wanted to say was said in the ceremony so the poems we wrote ourselves were very special and meant so much.The flashmob dance got everyone in the heritage centre involved and we we both gobsmacked that they really got into it !! Finally the lanterns that were lit in memory of our loved ones who were no longer with us but were there in spirit added a very meaningful touch. For the reception in Tranquility house for table centerpieces we used family earlooms and gifts we had been given from friends down the years ,we were able to have different themes for each table. 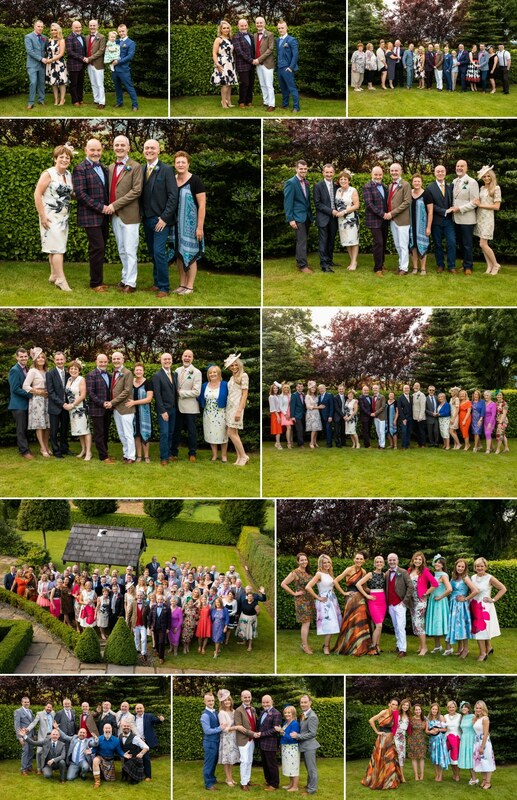 Have to say it looked amazing and all the guests we wowed by them including the caterers. We both knew we didn’t want to have our wedding in a hotel or registrar office. 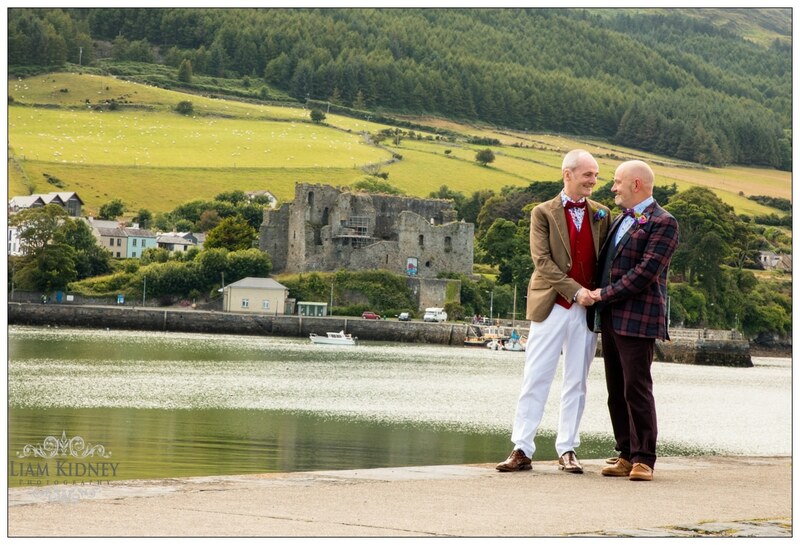 A year before our wedding two of our best friends got married in Carlingford . 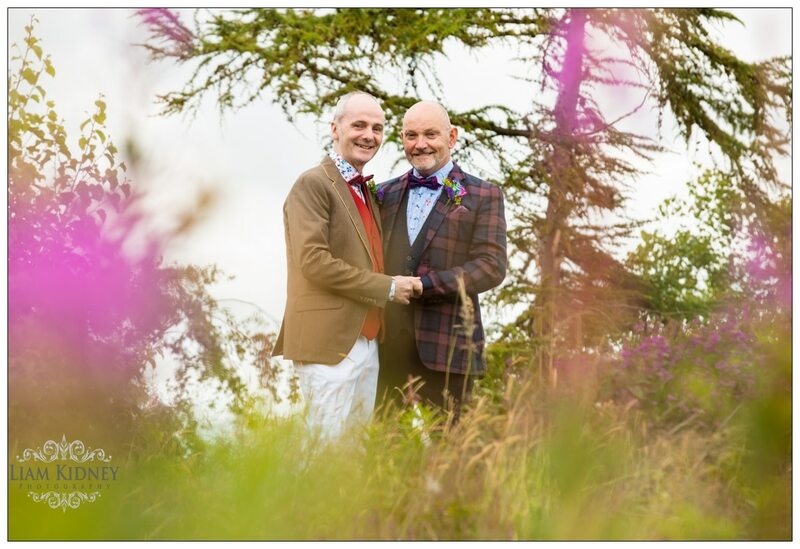 They had their wedding ceremony in the heritage centre followed by a reception in a country house. An idea which we both loved . 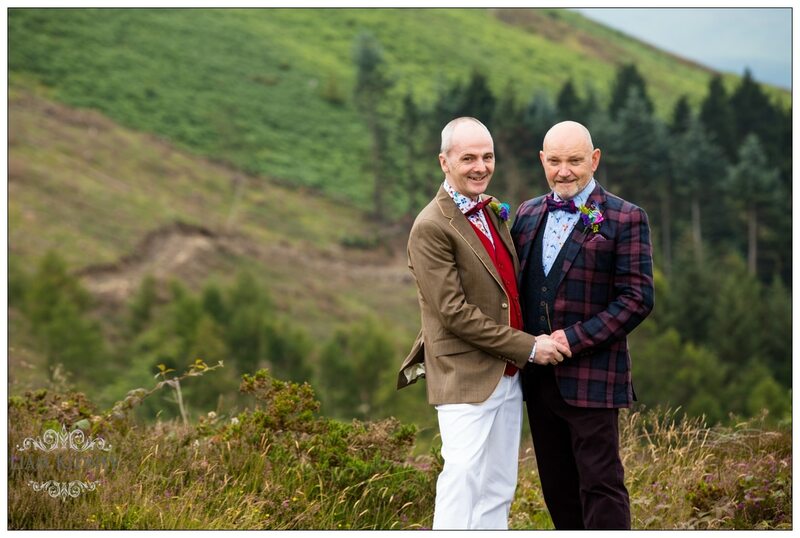 We immediately fell in love with the heritage centre and knew we wanted to have our ceremony there . It had just the right ambiance,space and beauty. The day after our friends wedding we googled for country houses in the area as we didnt want to use the same venue as our friends. Paul came across Tranquility House which had the wow factor and was perfect for what we wanted. The views were also breathtaking !! 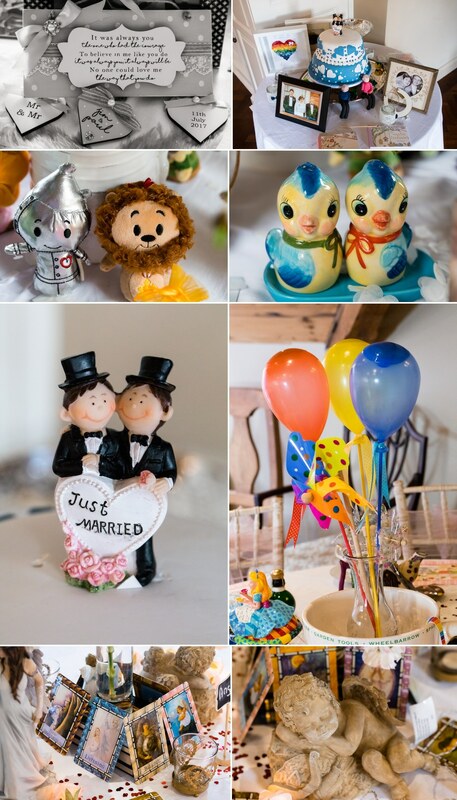 What is your favourite part of the wedding ? 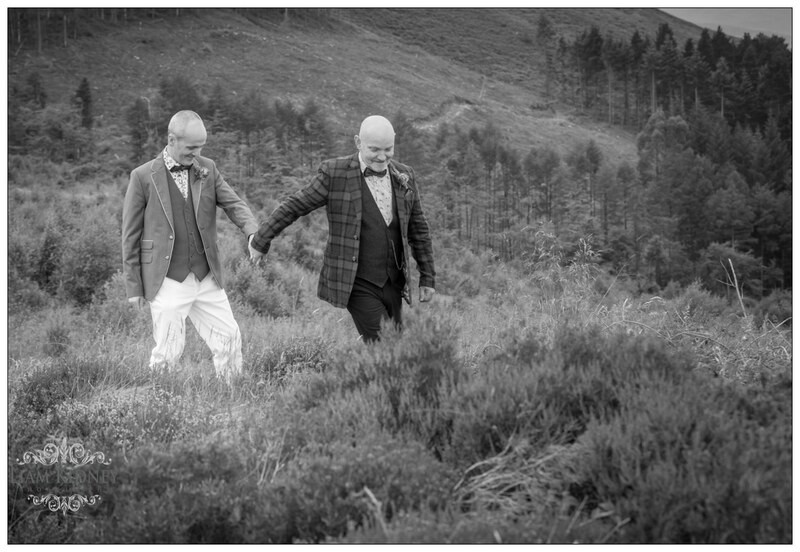 We cannot pick a favourite part because we loved every single minute of our wedding day from start to finish !! Step back and organise yourselves. Set goals and plan for yourselves and not others. Invite your nearest and dearest. Food and drink was important for our wedding . We were so delighted with our caterers . The food they served was top class and they were so professional .we also had a free bar . We started buying in drink from the year before the wedding! Many trips made up north !! Much cheaper there for alcohol.Finally as our photographer said to us both on the morning of our wedding. 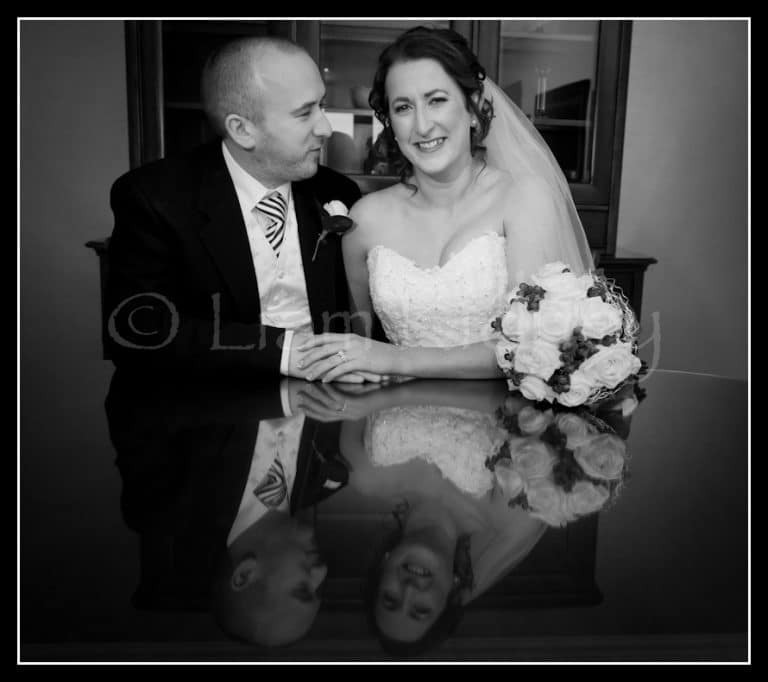 Leave your mobiles and wallets in your room you are not going to need them and from this moment on if anything goes wrong during the wedding day don’t stress let it go over your head ..Wise words and we both heeded them . Ended up having a ball and a day we will never forget . Oh yes and do get a wedding videographer and wedding photographer. We are so happy we spent the money on two very good professionals who have left us with memories that will last a lifetime. Liam Kidney photography – needs no introduction ! 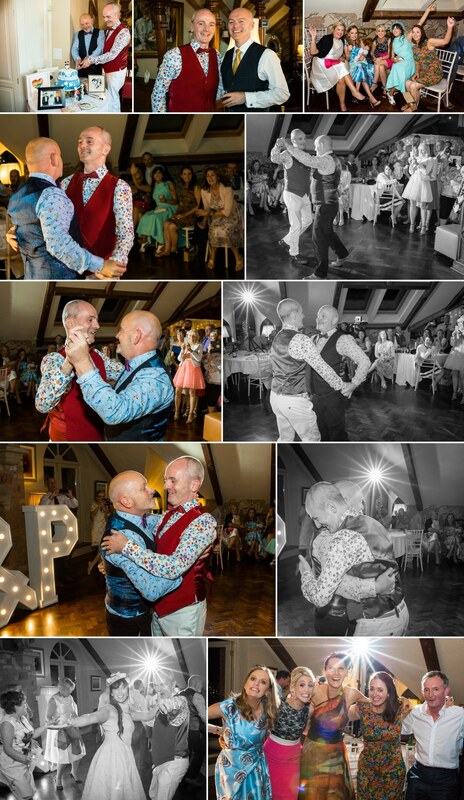 Amazing photos which captured the essence of our special day . Food -McAtteers foodhouse,Clanbrassil street ,Dundalk County Louth . 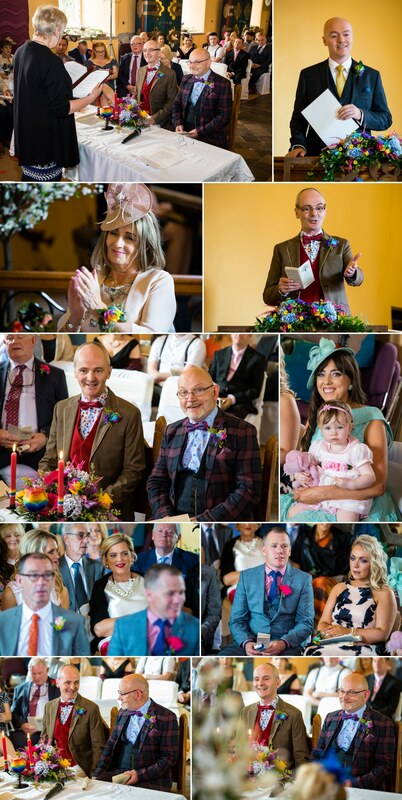 Florist -The Greenroom, 32 Park street Dundalk Co Louth Tel 042 932 9682. Caoimhe was wonderful to work with and nothing was a problem. She was able to source the rainbow roses we wanted for the wedding party. Wow weddings.www.facebook.com/wowweddings.ie. Unit 3 century business park Dundalk Co Louth.We hired lighting , chiavari chairs and chair covered from this company . Tranquility house ,calvary lane omeath county Louth . www.tranquilityhousecarlingford.com. Our wonderful wedding venue. Wedding band-KaceyD. On facebook.It you want your wedding to go with a swing then get this band!! Mrs Doyles vintage china-mrsdoylesvintagechina@gmail.com.address Angela Mcmanus,Greagh,Fenagh,Ballinmore co leitrim. We hired beautiful vintage china from this company for the drinks reception for our guests on arrival to tranquility house. It added such a beautiful and luxurious touch. Angela is also a pleasure to deal with. 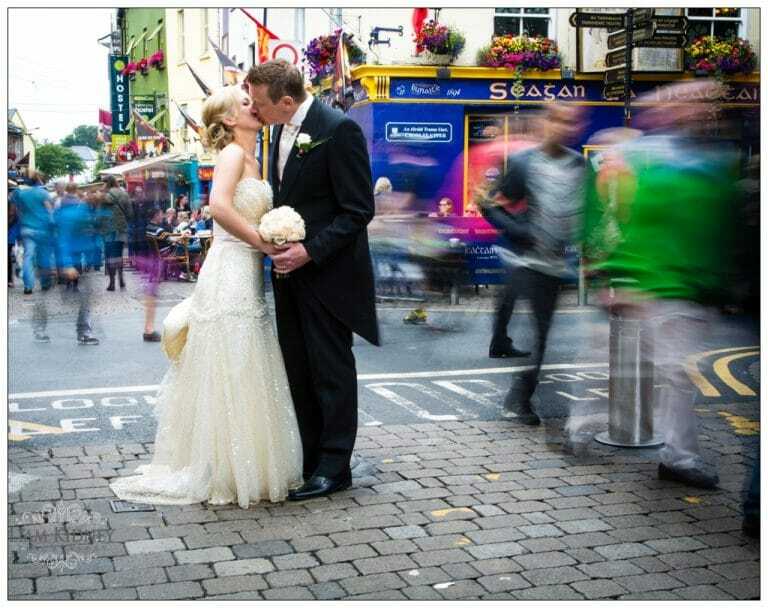 Wedding cariature artist -Mark Heng www.markheng.com mobile 086 235 8463.address 28 pine grove Raheen Co limerick. Wedding rings from Mint by baldwins, Earl street Dundalk, County Louth. on facebook.